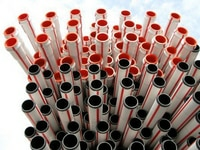 MCAM Symalit AG, Lenzburg/Switzerland is the Swiss market leader in the production of cable protection conduits and moulded parts made of recycled and recyclable thermoplastics (mainly polyethylene). 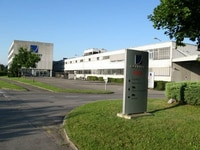 Since its foundation in 1952, Symalit is considered a pioneer in plastics. 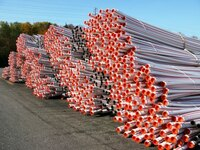 Already in 1956 it has produced the first cable protection conduits made of PE. MCAM Symalit AG continuously further develops its high-quality products to simplify demanding laying solutions of sometimes kilometres of piping trenches and to guarantee optimum protection of underground cables and cable looms. 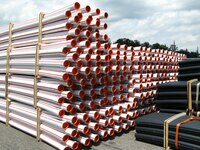 The focus in optimization is particularly on the extremely high resilience of protective conduits and on a very simple laying compatibility even in difficult terrain. Environmental protection has increasingly gained in importance too and is a top priority at Symalit – in the finished product as much as in manufacturing. SYMALIT cable protection conduits are halogen-free.